Motion pictures were introduced to China in 1896. Over the last hundred years or so, the Chinese cinematic industry has developed into a multi-genre space, bringing global audiences some of the most startlingly original works, artists and performers. lì li: wǒ men yī qǐ qù kàn diàn yǐng ba. Lili: Let's go watch a movie. mài kè: hăo de. Shì wò hǔ cáng lóng nà bù yǐng piān ma? Mike: OK. Is it the film Crouching Tiger, Hidden Dragon? lì li: shì de. Tā zài guó jì diàn yǐng jié shàng huò jiăng le. Lili: Yes. It won an award at the international film festival. mài kè: zhè bù diàn yǐng de dăo yăn hé yăn yuán dōu hěn yǒu míng, shì ma? Mike: Its director, actors and actresses are internationally renowned, aren't they? lì li: shì de. Nǐ xǐ huān gōng fū piān ma? Lili: Yes. Do you like action movies? mài kè: fēi cháng xǐ huan, kě wǒ mā ma xǐ huān yán qíng piān. Mike: I like them very much, but my mother prefers sentimental movies. lì li: wǒ mā ma xǐ huān kàn xǐ jù. tā jué de xǐ jù hěn yǒu yì si. Lili: My mother likes comedies. She thinks they are fun. mài kè: wǒ bà ba zuì ài kàn de yǐng piān shì jì lù piān. Mike: Documentaries are my father's favorites. lì li: zhè bù yìng piān de chā qǔ yě hěn hăo tīng. Wǒ zhǔn bèi măi yī pán lù yīn dài. Lili: The soundtrack is beautiful, too. I'm going to buy a tape. mài kè: hăo zhú yi. Bié wàng le bāng wǒ dài yī pán. Mike: Good idea. Don't forget to get me one. The history of Peking Opera is approximately 200 years old. Although it might have started as an art form peculiar to the city of Beijing, its influence has spread far and wide throughout the country over the years. There are five main character roles: the man, the old man, the "painted face," the woman and the clown. It is a comprehensive art form that involves singing, dancing, speech and drama, and acrobatics. It also combines the various artistic elements of China such as literature, music, dance and the fine arts, thereby earning itself the name "National Opera." Pretending to be able to play yu (an ancient musical instrument) to retain one's position in an orchestra; there to make up the numbers; to fill a position without the necessary qualifications. To observe the local customs of the place one is in. The popular English expression would be "when in Rome, do as the Romans do." Qiān lǐ jiāng líng yí rì huán . 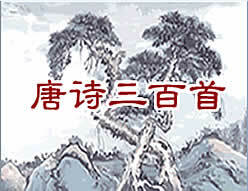 Qīng zhōu yǐ guò wàn chóng shān .